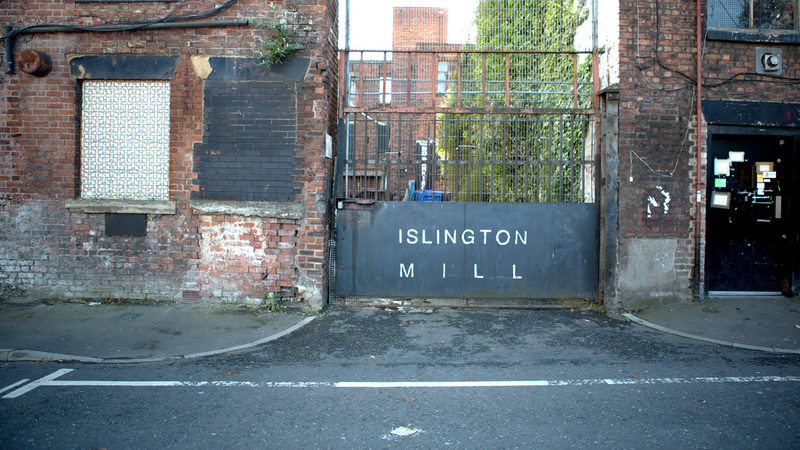 Founded by designer Bill Campbell in 2000, Islington Mill has established itself as an independent arts centre, home to an ever-evolving network of artists, musicians, promoters and small businesses experimenting with and developing their practice. ‘The Mill’ is the product of a singular dream to form a network of artists around the shared goal of living and working as freely and creatively as possible. Our early focus on visual art grew into a broader creative brief when musicians and promoters Mark and Maurice Carlin became involved in 2003/4. The following year, ‘Sounds from the Other City’ was born, creating a platform to celebrate Salford’s new art and music. Our DIY approach spans from one-off events and club nights to an artists-led B&B and Islington Mill Art Academy – a peer-led art education programme, acknowledged as one of the first of the recent slew of alternative art schools set up in response to student fees. The Art Academy gives artists the creative freedom to experiment, explore and develop their practice in a radical, encouraging environment. We have worked with artists from 35 countries across six continents, supported 5,000 artists, and are home to 50 small businesses. More than 15,000 people visit every year and, so far, more than £3 million has been invested in the building and local community. Whilst grounded in Salford, sees the importance of going beyond it’s walls, forming links with organisations across the world, taking over 30 artists to residencies in Ibiza, 10 artists to New York and 10 artists to Venice. The Mill’s community continues to ebb and flow, attracting new generations of creatives to collaborate and contribute to our artistic direction. Our current development programme – for two new floors of creative space – will regenerate and remodel 6,000 sq.ft. of the building. The new Artist in Residence spaces will continue to develop our artistic programme, nurturing, supporting and developing the next generation of creative minds.